You are invited to an exclusive dinner with David Borselle, award-winning chef and co-owner of Park & Oak Restaurant, at the Noah Webster House. Chef Borselle is creating a 3-course harvest dinner just for you! Tickets for this prix fixe dinner are $60 per person ($55 members) and include beer and wine. After dinner, lounge in our candle-lit historic house and try your hand at some classic 18th-century tavern games. $60 is inclusive (no additional tax or gratuity). All proceeds benefit the Noah Webster House & West Hartford Historical Society. David Borselle is the chef and co-owner of Park & Oak Restaurant, located on Oakwood Avenue in West Hartford, CT. The restaurant focuses on American classic comfort food, incorporating regional favorites while using responsibly sourced local ingredients. 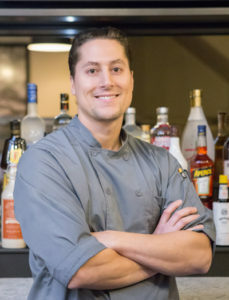 Chef Borselle has earned many accolades and awards, including Hartford Magazine’s “Best Chef” in 2005 and a feature in Connecticut Magazine as “a rising star.” He has studied and worked in both the United States and Italy and is a graduate of the Connecticut Culinary Institute and the Italian Culinary Institute for Foreigners in Asti, Italy. 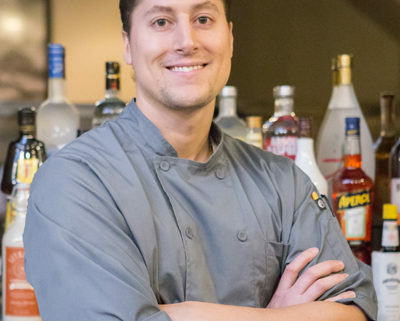 Before opening Park & Oak Restaurant, Chef Borselle opened A’vert Brasserie in West Hartford Center in 2013 and Bar Bouchée in Madison, CT in 2010.